Reflections and Ruminations: It may not necessarily be a bad thing when the wine runs out. It may not necessarily be a bad thing when the wine runs out. The episode of the wedding at Cana in John’s gospel has been an often used passage at many wedding Masses. After all, it is centered on the very subject of a wedding, and there is a miracle that is featured in the episode, where water was turned into wine. At each marriage, especially when this is a Sacramental marriage between two baptized Catholics, it is the marriage itself that becomes the very presence of the reality of God’s love in our world, concretized in the very love that the couple live out as one body in a lifelong union. That is why the Church has always taught that the ministers of the Sacrament here are the couple themselves, and not the presiding priest or minister. It is the vows made between the couple that makes the Sacrament valid, rather than the presiding minister’s presence and prayers. Whenever friends and relations congratulate the wedded couple, it is customary for words of good tidings and blessings to be lauded upon them. After all, it is a social norm to do so. So phrases like “we wish you an abundance of happiness”, “may you always be experiencing the joys of marriage each day of your lives”, or variations of the traditional Gaelic blessing that the “road rise up to meet you” are not unfamiliar. We seem to wish only the best for the couple, because we want only the best. But we don’t often realise that what we deem as ‘best’ in life also often ignores the fact that in life, whether one is married or single, mature adult or child, man or woman, it is most likely not the sweet taste of successes and glories in life that make us persons of depth and substance, but the trials, the turbulence and the tests that prove us to be strong in faith and in love, and ultimately in life. Swimming along the current in shallow waters doesn’t necessarily show that we are good swimmers. Being trained in swimming against the tide is where we know we truly are able to go out into the deep waters. This was what brought me to an insight, which I shared at the recent priests’ retreat that just ended for us in the archdiocese of Singapore, where we were guided by the retreat master Archbishop John Ha from the Kuching Diocese in West Malaysia. I was inspired to share that like at the wedding in Cana, it may not be as terrible and tragic as it seems to be when the wine runs out in our lives. Sometimes, the tragedy or calamity becomes the route through which God’s grace gains that necessary foothold and entry point into our lives. The miracle where Jesus turned the water into wine is often referred to as Jesus’ first sign of glory in John’s gospel. It inaugurates Jesus’ glorious presence into the world, and it is after this event that other miracles of his become recorded in this gospel. If the wine hadn’t run out at the wedding, many other things would not have happened. If the wine hadn’t run out, there would be no reason for there to be an abundance of the new wine that was of far superior quality. If the wine hadn’t run out, the world would not have heard those words of great advice from the Blessed Mother to “do whatever he tells you”. If the wine hadn’t run out, the jars that only had been used for ordinary ablution purposes containing water would never be considered to be worthy of being containers of something as precious and unctuous as a premium product of excellent variety, and in copious amounts at that! The priestly life, just as in the life of a married couple, is constantly facing moments of trials and tension. And if married couples experience crises and moments of difficulty, the priestly life is similarly tested. There are times in life when we hit rock bottom. Alcoholics Anonymous acknowledges that it is often only when the addict is at rock bottom that we can begin that long recovery journey because it is only when one is at the bottom that the only way to go is up. It is in this understanding that it really was a good thing that the wine ran out at that wedding in Cana. No guest there would have wished that tragedy would be experienced by the couple, let alone at such an early stage in the life of the couple’s life. But no one can deny that it was precisely because of the tragedy of wine having run out that the superior wine made its appearance through God’s grace. Just as no one wishes a newly ordained priest to have a crisis of his faith or his vocation on his day of ordination, isn’t it just as possible that it is in and through his crisis that the healed one then becomes the better healer because of his woundedness? This is the paradox of life that many of us fail to appreciate, and find it so hard to articulate in life. Yet, I am sure that when we are able to truly seize the moment, those moments of vulnerability and live those with faith and love, with eyes looking upward to God as our only hope, that pain can turn into purpose, and water into sweet and velvety wine. 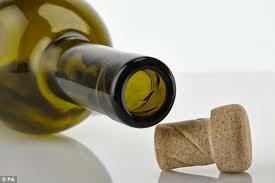 Yes, sometimes it is not a tragedy when the wine runs out. It could well be the ushering in of greater things around the corner. Parents standing in the way of vocations? and surely it takes two hands to clap... as they say. It is indeed comforting to know that "it is most likely not the sweet taste of successes and glories in life that make us persons of depth and substance, but the trials, the turbulence and the tests that prove us to be strong in faith and in love, and ultimately in life. Sometimes, the tragedy or calamity becomes the route through which God’s grace gains that necessary foothold and entry point into our lives." I really like the fact that you highlighted the purpose/reason why the wine ran out using 'if the wine hadn't run out...'. It caused me to pause in my tracks as I had taken this story for granted and also to reflect on the 'unfortunate events' that had taken place in my life. Indeed, if the wine had not run out in my life, I would never have returned to God, I would never have depended on Him, I would never have known the sweetness and goodness of God's grace and mercy, I would never have appreciated the times when there was an abundance of wine.